Interested in receiving extra team training in addition to summer camp and your normal conditioning / skill practices? 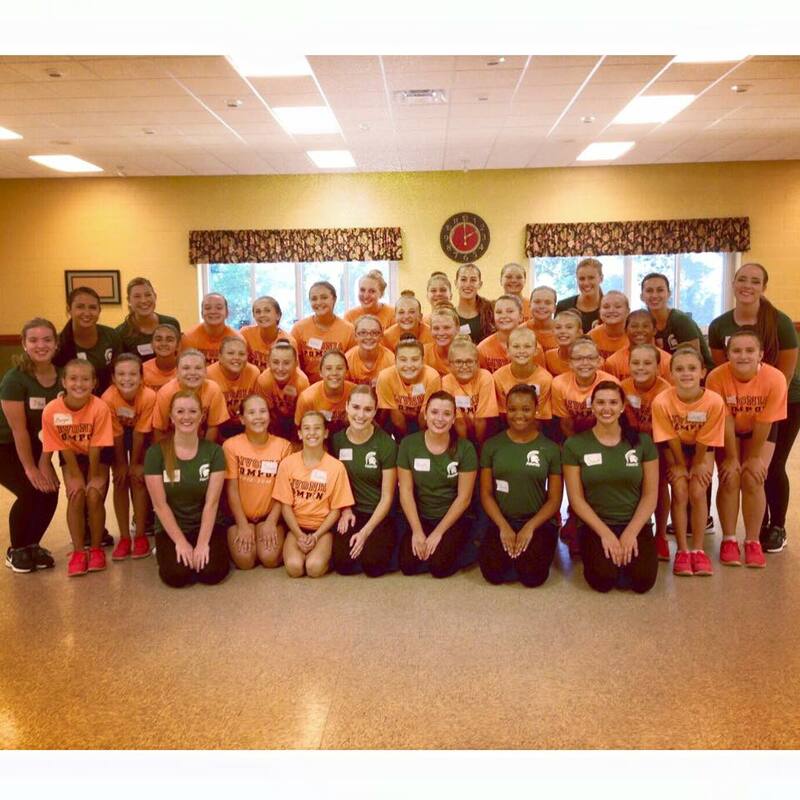 MSU Pompon has created custom workshops for numerous teams that have focused on specific team needs and problem areas. Our team members work closely with yours to provide personal attention and specific corrections, tips, and suggestions for a more tailored and beneficial training. Any team scheduling a clinic before the November Hip Hop and High Kick Championship will receive 15% off a second clinic scheduled between December and February. All teams who schedule a clinic will have the opportunity to send in a video of their competition routine after the clinic for critiques up to one week before the competition, FREE OF COST.